This stunning waterfall is one of the Black Hills most photogenic spots, which is no more than would be expected from the set of the final scenes of “Dances with Wolves”. Roughlock Falls is billed as one of the Black Hills most beautiful spots and was the set for the last scenes of “Dances with Wolves”. Just one mile off of Spearfish Scenic Byway/US-14A. Short, easy hiking trails and picnic spots make this an ideal spot to spend an afternoon. Clear water tumbling over limestone cliffs surrounded by birch and aspen sets the scene for this idyllic spot, perfect for a quick hike or an afternoon picnic. 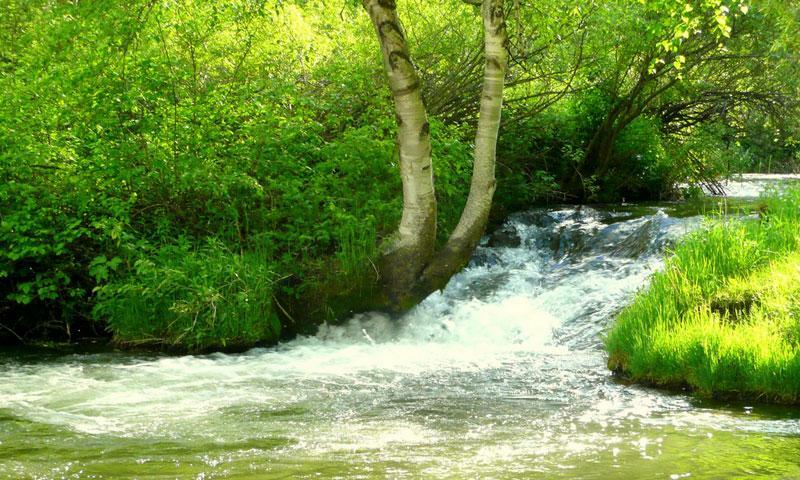 Fed by Little Spearfish Creek before it enters Spearfish Canyon, this area is touted as one of the most beautiful locations in the Black Hills. Although the water is cold, it is possible to enter the creek and even walk behind the waterfall. Just one mile off of the Spearfish Scenic Byway/US-14A along FDR-222, an easy one-mile hike leads to Roughlock Falls. Trails lead to viewpoints at the bottom and top of the Falls. To get to the trailhead, take FDR-222 west from Savoy. Near the Latchstring Inn and the Spearfish Canyon Lodge, you'll find the turnoff to the falls. Follow the gravel road until you reach the falls. Roughlock Falls is open year-round. In the fall, the colors of changing leaves light up the surrounding forest. During the winter, the creek is generally covered with snow and ice.